Do you know the importance of social video content? Videos are now not just a series of pictures! They have become a great video marketing tool because they are extremely effective for generating brand awareness, generating new leads, and engaging customers to the brand. At Crux Creative Solutions, one of the leading corporate video making companies in Delhi NCR, we never forget to include video content in our social media campaigns. 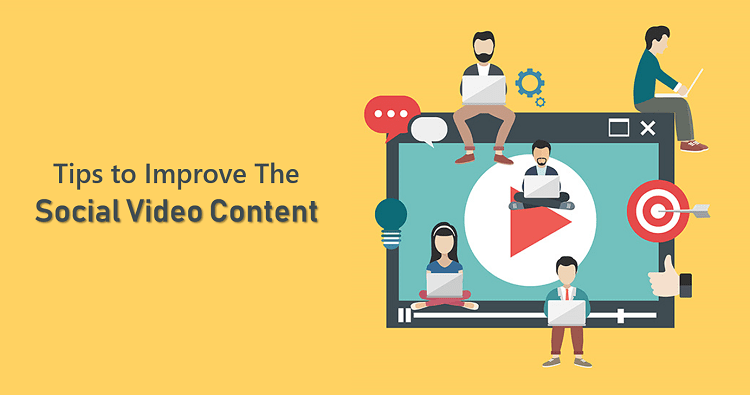 Therefore, we are back with some exciting tips to improve social video content for your brand. We are in an era where video marketing strategies driving more traffic to the businesses. Thus, clarity is more important than humour, great concept, and high quality. Imagine you have created a high-quality video but it is unable to deliver the message accurately, then it is of no use. If your message comes across clearly, it is likely to create a better connection with the target audience. As a leading corporate video production company in Delhi NCR, we all should prefer clarity over the quality of a video. In order to attract more and more audience, we sometimes get derailed and start producing irrelevant videos. No matter how much efforts you have put in your video, if it is irrelevant to your brand, then it is of no use. At Crux Creative Solutions, our video producers do good research and follow all the guidelines provided by the clients to produce effective and business related videos. To discover which topics are most suitable for your business, you can also try searching through various tools and chrome plugins. You can also analyse the search volume and search number for those search results through these tools and plugins. As said earlier, the audience is supreme in the digital industry. That too, if you are a social media influencer or a blogger then this advice is most important for you. All the content that we produce is for the audience. Thus, ditching audience by making false promises will never take you to the long way. We understand that video producers take a long time to create high-quality videos. This is why; we suggest creating video content in bulk so that you can always update your social platforms on time. Our corporate video production company in Gurgaon always produces content prior to the date of delivery to our clients. This helps in maintaining our work quality and work-life balance both. Videos are now a crucial part of the digital industry. They not only attract the audience but also boost conversions, traffic, and credibility of the business towards the audience. Moreover, Google and videos are friends. Websites with high-quality videos are likely to rank better on Google. Look no further; strengthen your business with our video production services. Call us today on +91-124-4207905 or Email us here! Three Things to Track while Analysing your Social Media Marketing Efforts!